Yesterday was my first official cooking experience of the new apartment and of course I had to try a new recipe. 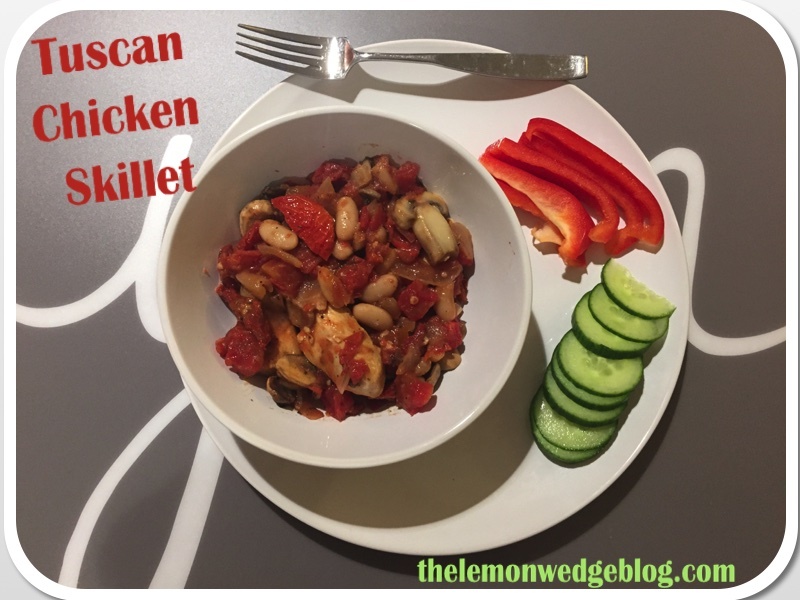 This time it was a Tuscan Chicken Skillet. It was pretty easy to make, but the best part was that it didn’t use too many dishes, which meant less washing for me. Oh, and it was delicious too! The recipe makes about four servings so I put the leftovers into individual containers to make it easy to grab for lunch while I’m out at class. It is also just a good reheated in the microwave as it is fresh. One serving of this Tuscan Chicken has just under half of your recommended fiber for the day. 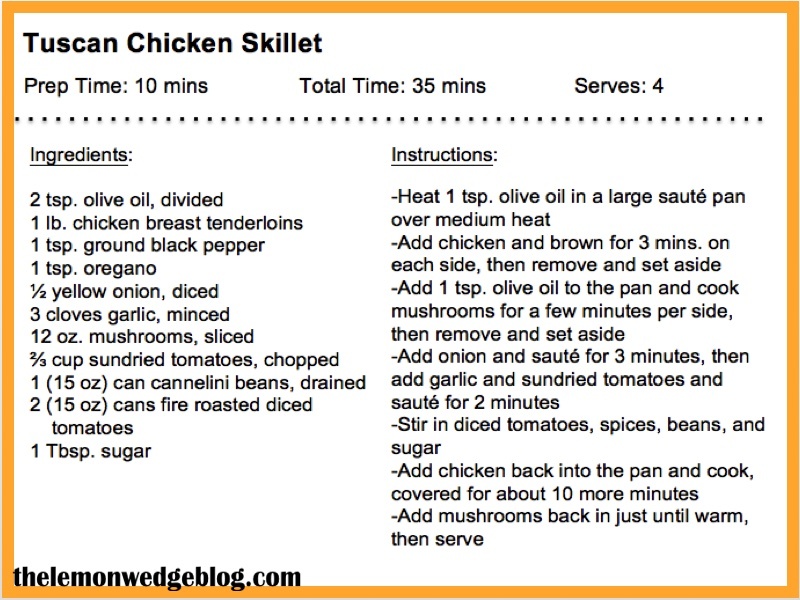 It is very low in fat, especially if you use chicken breast as it says in the recipe. Unfortunately, this recipe is a little bit high in sodium because of the diced tomatoes, so when choosing a brand, try to find one that has the lowest sodium content. Although, one serving of the recipe contains about 40% of your sodium allowance for the day*, so as long as your sodium consumption for the rest of the day is not too high, this will not cause any problems. Because of the high fiber and protein, this is pretty filling to have as a meal on its own, but I like to add some green veggies to the side for some extra nutrients!